Welcome to the website of the Upper Mississippi River Region of the Nash Car Club of America. 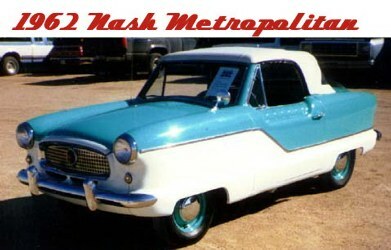 Our club encourages preservation and restoration of the vehicles made by Nash, AMC and their predecessor organizations. 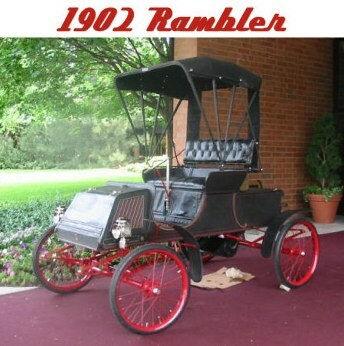 These vehicles include the Rambler 1902-13, 1950-57, Jeffery 1914-17, Nash 1917-57, Ajax 1925-26, LaFayette 1920-24, 1934-40, Nash Healy 1951-54, Metropolitan 1954-62, Hudson 1955-57, Jeffery and Nash trucks 1913-28, 1947-54. Our region of the NCCA has about 100 members and covers the lower half of Wisconsin, a bit of eastern Iowa and the northern half of Illinois. We have get togethers about six times a year for planned activities and meets. We are fortunate to be the region where Rambler, Nash and Jeffery automobiles started, that being Kenosha and surrounding area. We have a strong history of great camaraderie and members who are very active in NCCA policy and decision making.